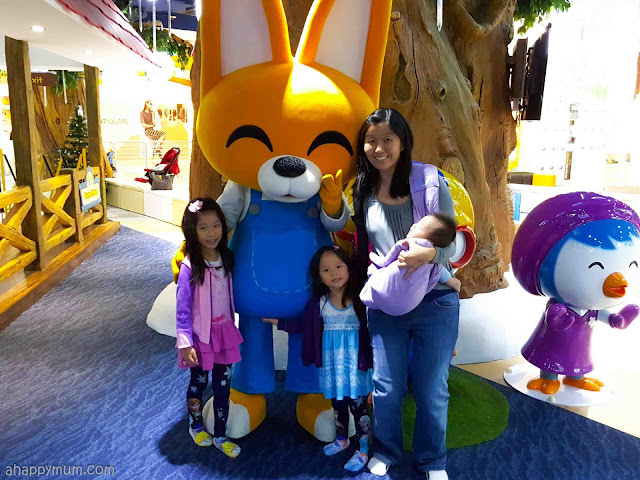 The first time I brought the kids to Pororo Park was during the March holidays this year. Being the first Pororo Park in Southeast Asia and the largest character-themed indoor playground in Singapore, we had to pay it a visit even though the kids were not so familar with Pororo and his friends. I have to be honest, the first thing that struck me was the steep entrance fees. 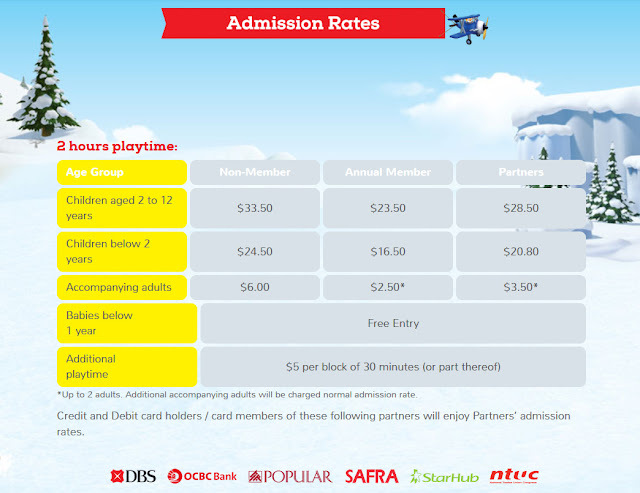 For non-members, you have to pay $33.50 per child aged 2-12 for 2 hours of playtime and $6 per accompanying adult. I had a moment of hesitation on whether it was worthwhile to spend that amount of money (yes, we paid for the tickets) but it was easy to tell that the girls were looking forward to exploring this new indoor playground. The second thing that surprised me was to realise that it wasn't as big as I had expected, with a 11,000sq ft area which is smaller compared to several other indoor playgrounds we have been to. Considering the amount of money I had spent to go in, I was honestly hoping for something more. Then came my third surprise. I was half expecting the kids to be bored after an hour or so, especially the big girl who is coming to seven this year and I thought she would not be much interested in the activities which were mostly catered for toddlers. It ended up that we spent a good couple of hours there and the best part was that the all the kids seemed to enjoy the experience and had lots of fun. That's ultimately the most important part, right? 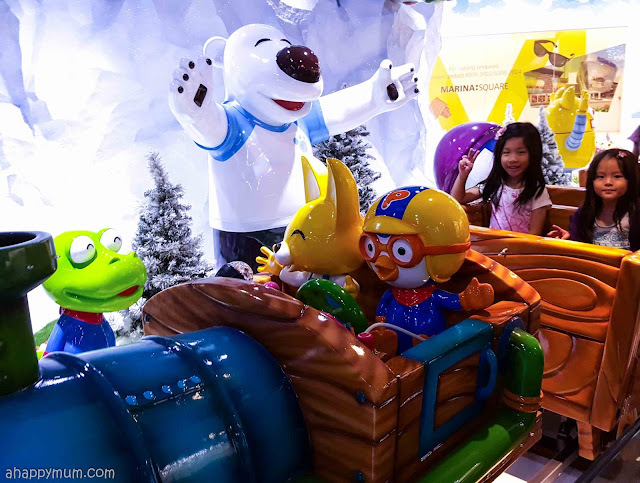 Here's sharing with you on some of the things to do and explore in Pororo Park. This train ride had to be our favourite of all! Ok, it is actually the only ride in Pororo Park. You get to sit on a train with Pororo and Eddy and as you go around the track, you can spot the other Pororo characters too. If you are there on a weekday where there's not much of a crowd, the kids can go on the train ride again and again (no extra fees are required for this ride)! 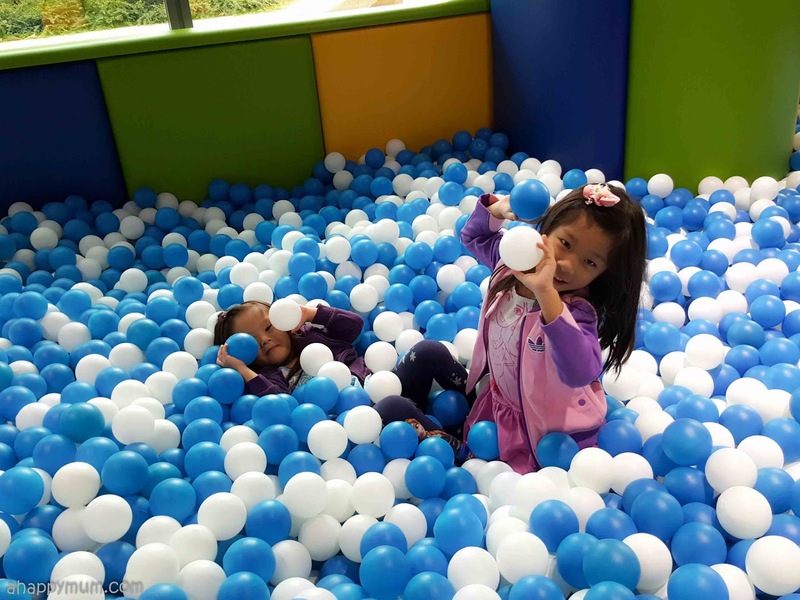 A ball pit is always a hit with the kids and they simply love jumping into the pool of balls. Pororo Park has a good-sized ball pool filled with blue and white balls that will delight kids of all ages. 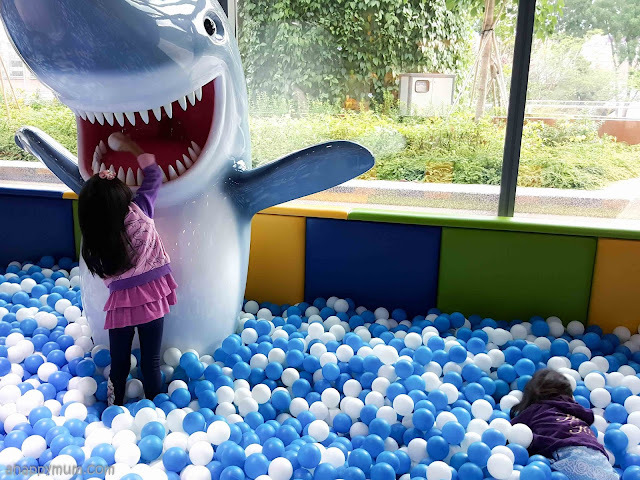 A highlight of the ball pool is the standing, happy-looking shark who will 'eat' up the balls which get thrown into its mouth. A simple game of aiming and throwing can be so much fun at times! 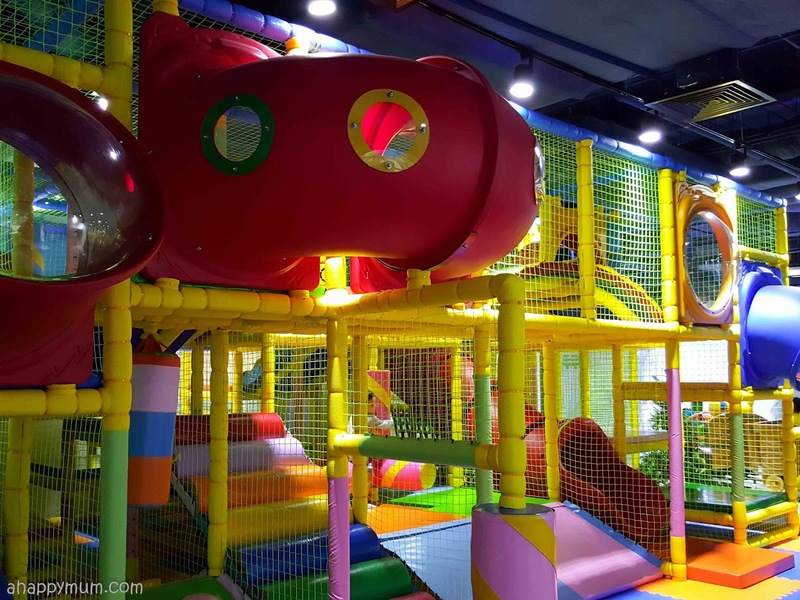 There is also the Loopy's Cafe located right next to the ball pit so parents can sit down and enjoy a cup of coffee while the kids have a ball of a time. It's called a play gym but it's more like an indoor play structure complete with tunnels and slides. I wasn't impressed by the size of it but it seemed like the kids were contented to run around and play here for quite a long while. One good thing was that it was very easy for me to keep an eye on the two, which can get quite tricky when I also have a baby to look after. 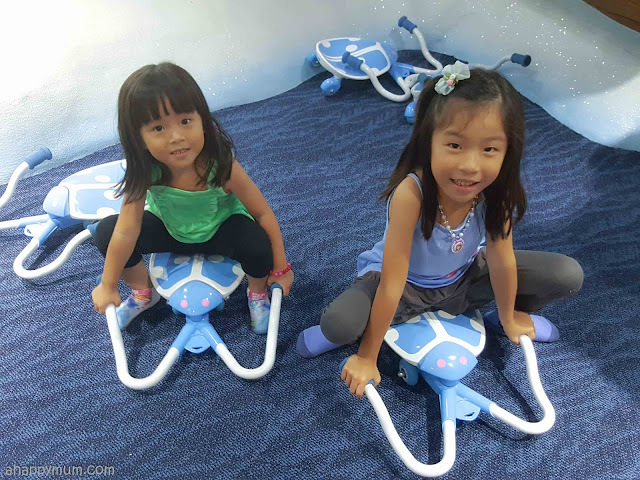 That reminds me, for mums with infants or toddlers, you will be happy to know that there is a nursery located inside the playground where you can find a diaper changing area and a padded bench seat for breastfeeding. Inside Crong's Backyard, you will find a small selection of toys catered for the smaller ones, including a small slide and even a swing, much to Ariel's delight. The only thing here that caught the interest of my 6-year-old was the piano which kept her occupied for quite some time. 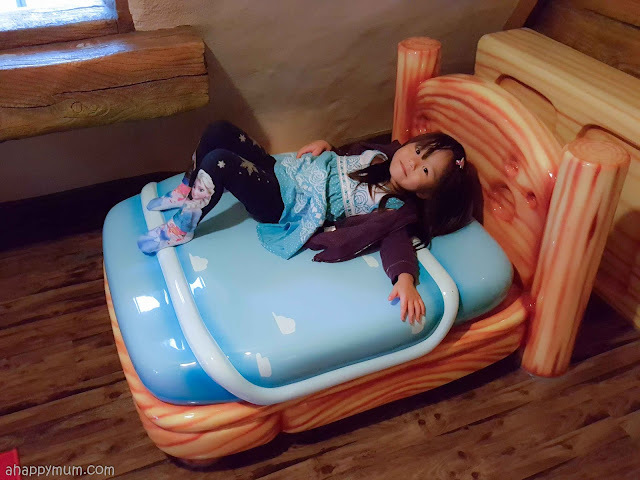 For photo opportunities, you can enter the Pororo House which features a cute bed, bathtub, sink, fridge and more. Beware that the ceiling is rather low and you will have to bend over or climb your way in at the doorway, so take extra caution if you happen to be carrying an infant like me. I have to say that my girls were not too fascinated by Pororo House and ran out in just one minute! Instead, they were happier to scoot away in these ride-on scooter or ladybird toys with wheels which we found right outside the house. The girls also enjoyed pretending to be cashiers and shoppers at the make-believe supermarket in the Event Zone. Yes, this is something they love to play and in moments like this, I am just glad they have each other for company so Mummy can take a breather. There were toy groceries and even cute Pororo trolleys for the kids to play with too! 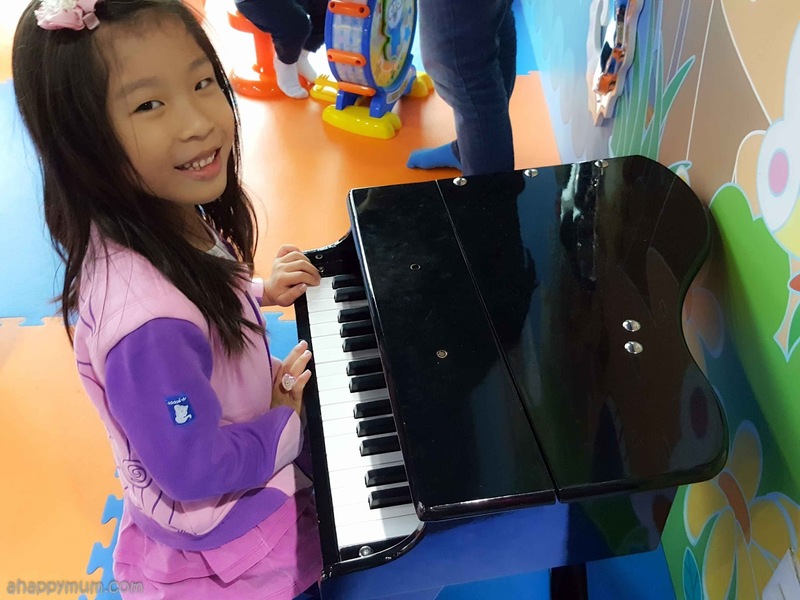 A main highlight of a visit to Pororo Park will be the Mini Musical, which is held at various timings daily in Tong Tong's Little Theatre. You can refer to the program schedule here. Kids will be able to get up close with Pororo, Eddy, Loopy and their friends and they can dance and sing along to the musical too. If that's not enough, be sure to catch these characters and let your kids give them high fives at the Meet and Greet sessions which are held every evening. 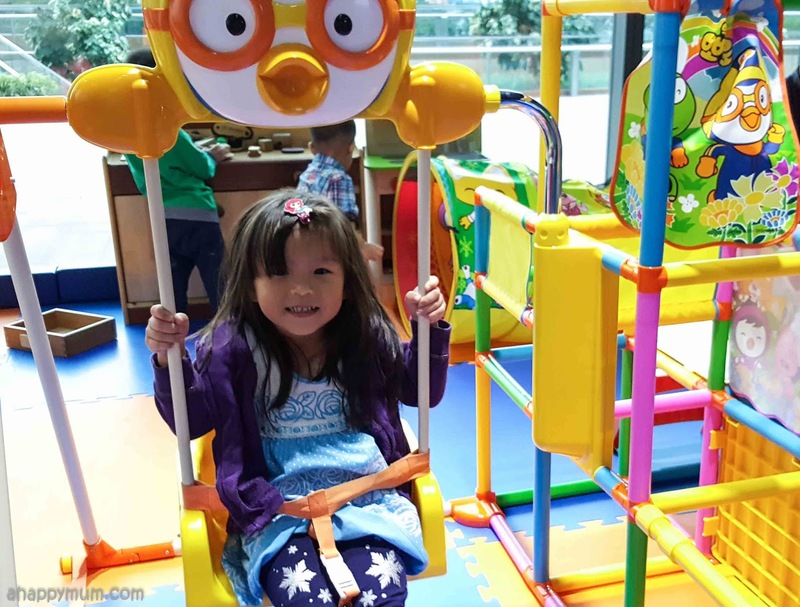 On our second visit to Pororo Park, we were invited along with some fellow parent bloggers to experience some of the edutainment programs - which is a series of fun-filled educational and entertainment workshops designed for kids and their parents. I actually like these workshops and feel that they make things much more exciting at the park and worth looking forward to. 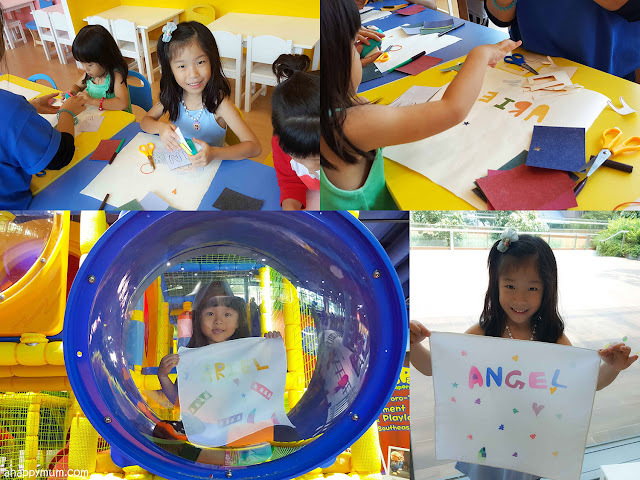 The workshops vary from month to month so that the little ones get to experience different activities even if they revisit the next month. Some of the programs are free for all visitors, some require a small fee to reimburse the cost of materials, some are strictly for members only while some themed workshops might be more costly. The girls tried out a fashion design workshop where they got to design and personalise their own pattern using ink paper which was transferred to a hanky. For classes like this, you need to top up $2-$5 for the use of the art materials. 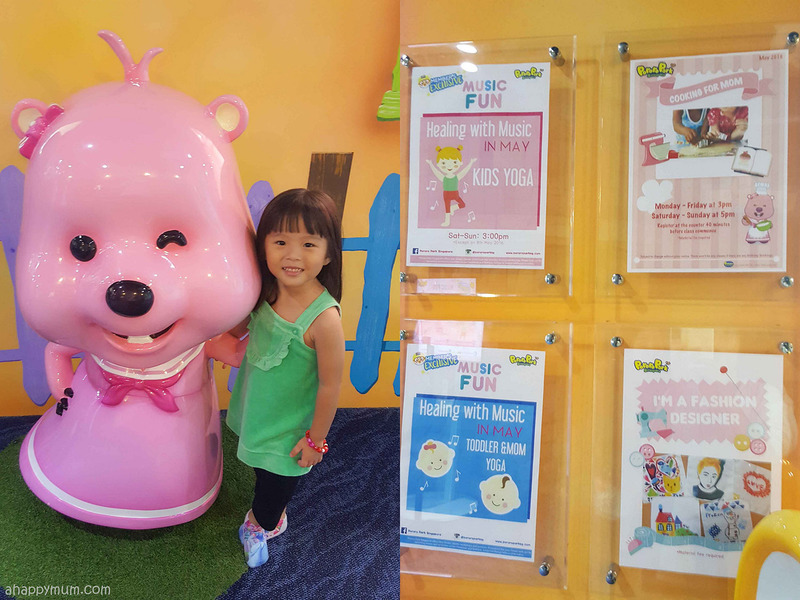 Ariel also took part in a toddler interactive class where she got to hunt for fishes and sing along to catchy tunes. 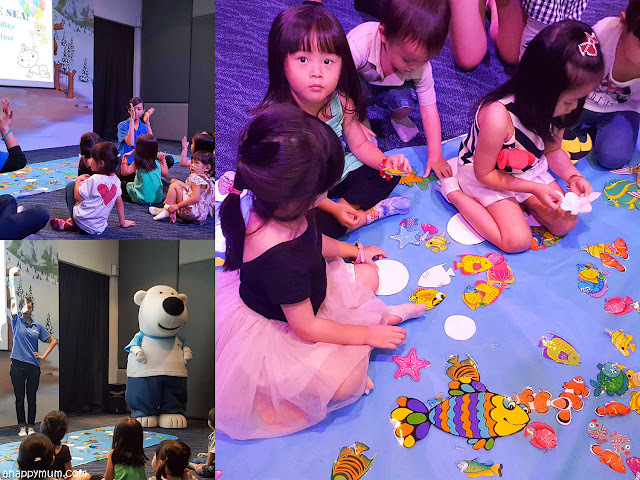 One special part of these workshops is that the kids will be able to come up close with one of Pororo's characters! Can you spot Poby the Polar Bear above and Loopy the Beaver below? What we enjoyed most were.... the yoga classes. 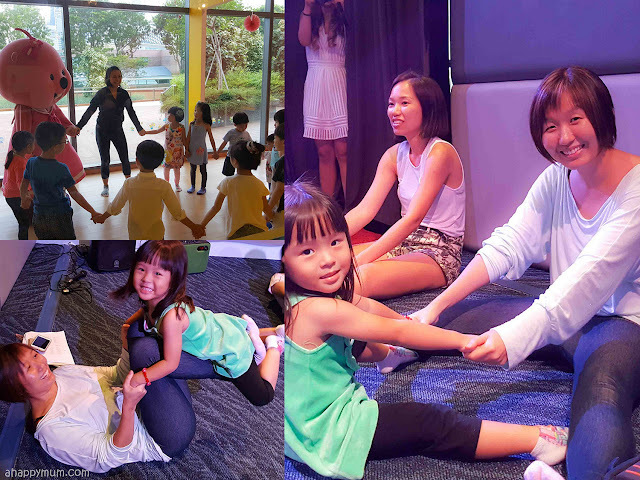 While Angel could attend her class on her own and met new friends, Ariel's one was parent-accompanied so the two of us got to learn and laugh together as we tried to master some yoga moves. Since these workshops change regularly, it would be recommended to check the program online and also check with the staff at the counter when you arrive to see if there is any activity that interests your child. There are limited slots for each session so do make sure you register as soon as possible. 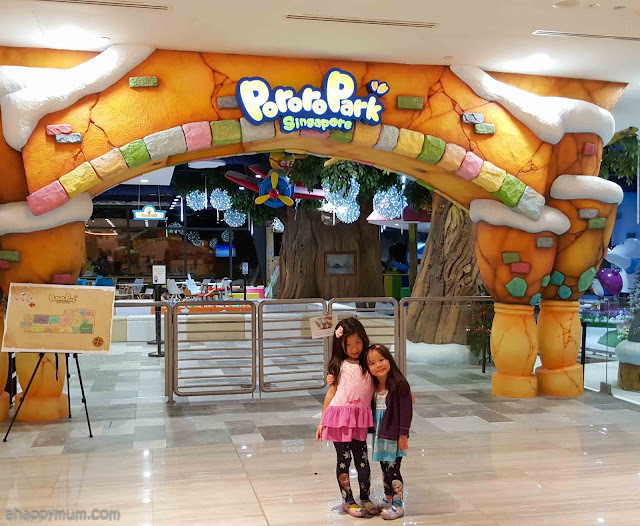 All in all, I'm glad I decided to bring the kids here despite the initial hesitation and though I still think the pricing is rather hefty, I have to admit that my kids like Pororo Park lots and we had more fun and laughter than we expected! For those who would like to visit Pororo Park Singapore, good news! I'm giving away a Family Pass for 2A2C (worth $79) to a lucky reader! 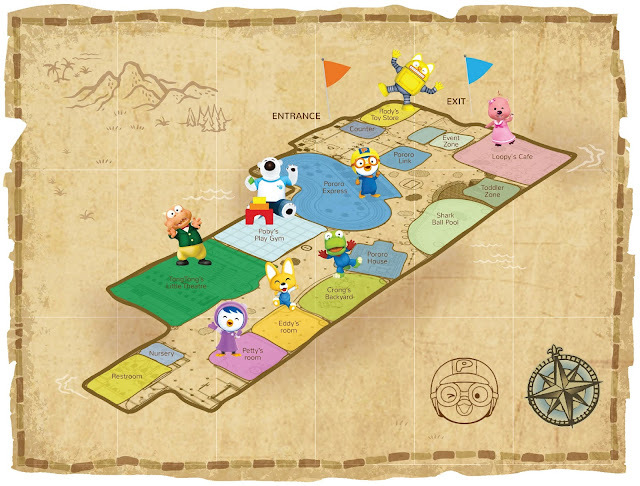 To participate, leave a comment in this post with your name, email address and tell me what you like most about Pororo Park. Indicate in the Rafflecopter widget that you have commented and to increase your chances of winning, you can choose to carry out the rest of the options. Good luck! - This giveaway ends 28 June 2359hrs. Winner will be picked randomly and will have 72 hours to reply, or a new winner will be drawn. To be fair to the participants, all fake social media accounts, or accounts set up for the sole purpose of participating in giveaways, will be disqualified. Disclosure: We visited Pororo Park twice, the first time out of our own accord and the second on a media invite to experience the edutainment workshops. All opinions are our own. I love the different workshop that they organized for the kids and parents!! I like the Meet and Greet session as well as the Yoga session. My boy is a great fan of Ball Pool! He would be jumping in joy if we could bring him to the Pororo Park Singapore with the amazing Shark Ball Pool~ It would be a great bonding session for the whole family!! 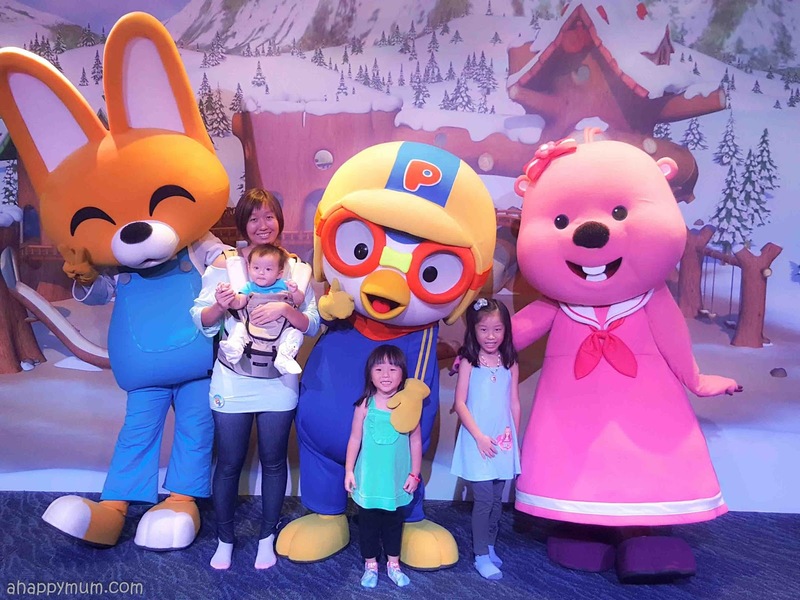 My younger two boys will love the meet-and-greet sessions with the character mascots because they love to shake their hands, hug and take photos with them. I hope to bring my kids to the meet and greet. 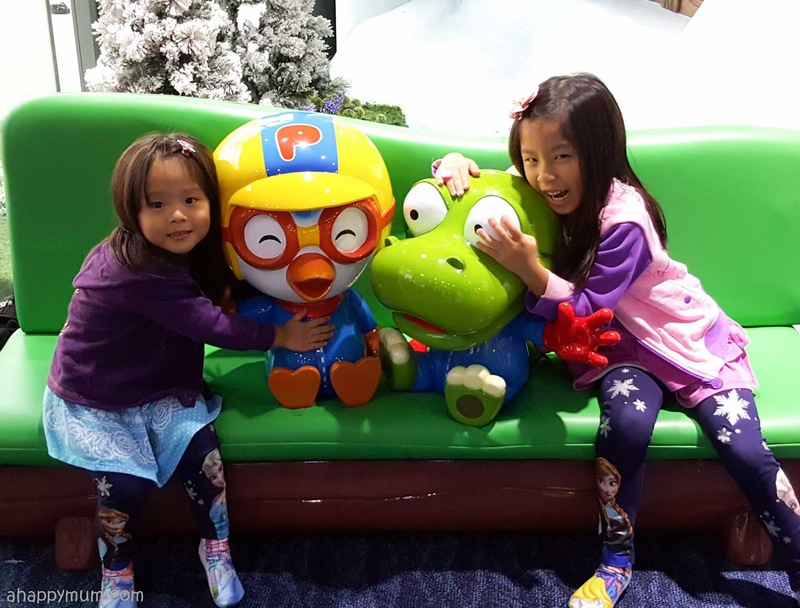 Have never bring my 3 kids to pororo park. Hope to bring them to enjoy themselves. My 3 year old son's favourite character is Pororo 🐧🐧🐧!!! I hope to win a family pass. We love the shark pool. My girl never get enough of it. The passs will come in time for her birthday. 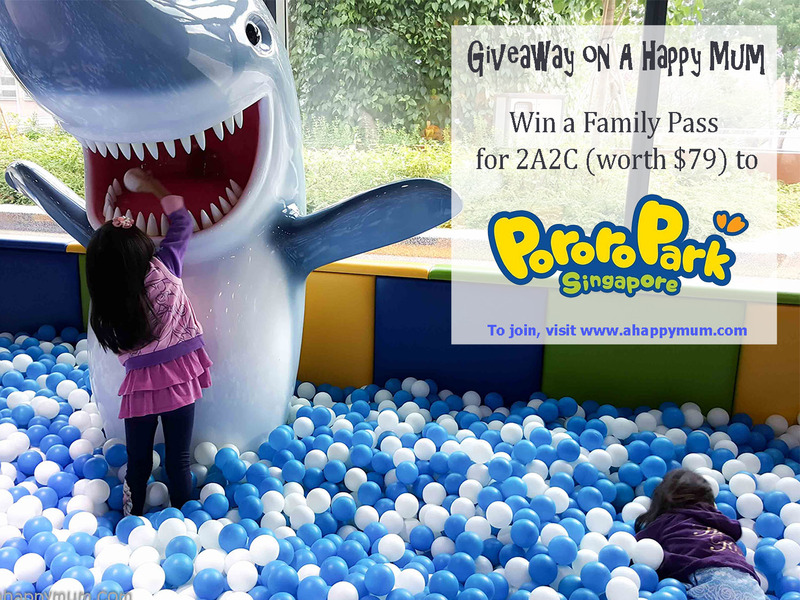 I hope to win a family pass to bring my children to pororo park. We love pororo very much expectually my son he is a fan of it. I like the tu tu train ride. Reminds me of my ride at Genting when I was around 6yrs old. The rides and the workshops would be great edutainment for the kids. Would love to take them there. My kids would love the gym, the little piano, and the ride-on toys. I would love to encourage them to participate in the activities there too. We love the train rides with all the characters!! My kids love pororo! 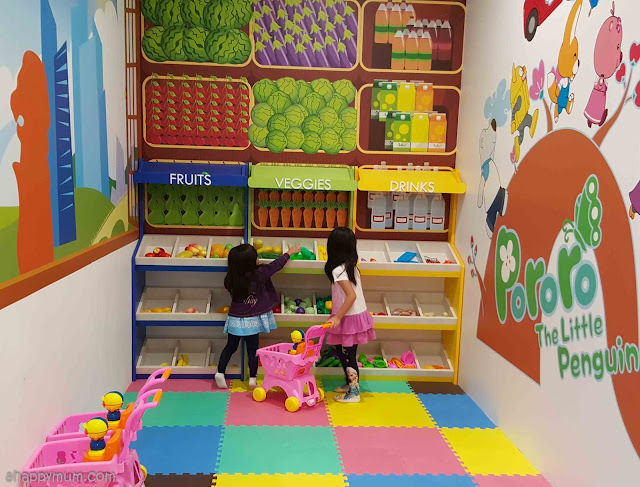 My elder girl will love the Poby's play gym while my 2nd younger will enjoy supermarket. It will be great to bring them to Pororo park. Both of them will enjoy to their fullest. My boys love love love the Pororo Express. They will rave about it when we passby the Pororo park! Hope we will be lucky enough to win it! 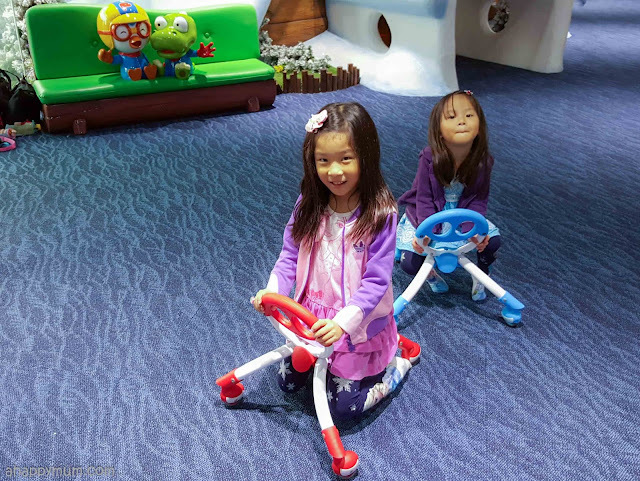 My 2 young sons will love the Pororo Express.Everytime we pass by, I will see 2small faces pressed against the glass door peering through it to see other kids having fun on the Pororo Express. Hope I can win this for them as my youngest son birthday present. My kids like Pororo. I hope we can win the tickets for them to play. I'm sure they will like the shark ball pool and Pororo Express. My boys will definitely go ga-ga over the train ride with the characters. All my 3 kids love Pororo Park & esp the train ride & the ball pool! Wow, we have not been to the Park yet. Would be an eye-opener and energy-zapper for my 2 boys. They will surely love the numerous activities there. The ball pit, meet and greet and yoga session are awesome! A great play, a fun photo taking session and a good stretch before anything surely makes my girls' day too! The ball pit and the train ride attracted my children. We had not been there but we passed by a few times outside Pororo Park. The children were excited about it yet I have no time bringing them in. Would love to win and let my children go this round. My kids would like the ball pit and the train ride.They would definately enjoy themselves. Would love to bring my two kids there to experience the different activities, especially the train ride. My son is currently fascinated by trains! I would like to bring my kids to the pororo train express!! 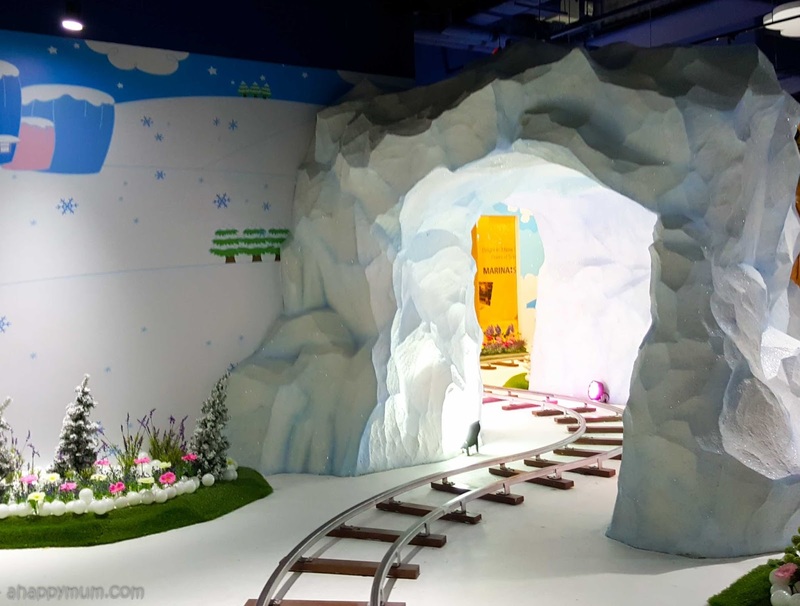 As my kids are currently obsessed with both the cartoon character pororo and trains, i am sure they will have a blast visiting the pororo park, especially riding the pororo train! My boys love the Pororo train and Shark Ball Pool. I have been wanting to bring my kids to Pororo Park but the admission fees made me hesitate. I'm sure my kids will love the ball pit and the play gym. I think my children will like the play gym and the workshop. Without a doubt, the various games and activities for the kids are a huge draw!! !